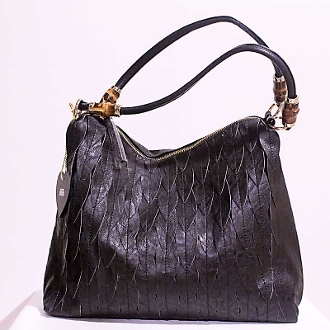 Understated yet beautful is the Imoshion Jaime Handbag. Leaf cutouts in faux leather on the face of the bag add visual interest. Double handles accented with bamboo. Outside zip back pocket with interior zip pocket and two cell phone pockets. Lined in a golden floral. Exceptional bag!